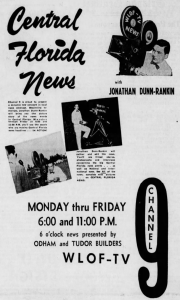 Jonathan Dunn-Rankin helped launch the regular early and late-night newscast “Central Florida News” for Channel 9. 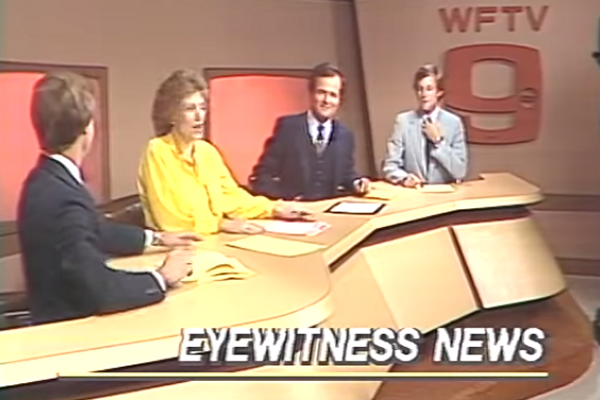 For decades, WFTV has been the dominant news station in town with “Eyewitness News.” But when Channel 9 went on the air in February 1958 as WLOF-TV, it took about a year and half to launch a regular evening and late-night newscast. 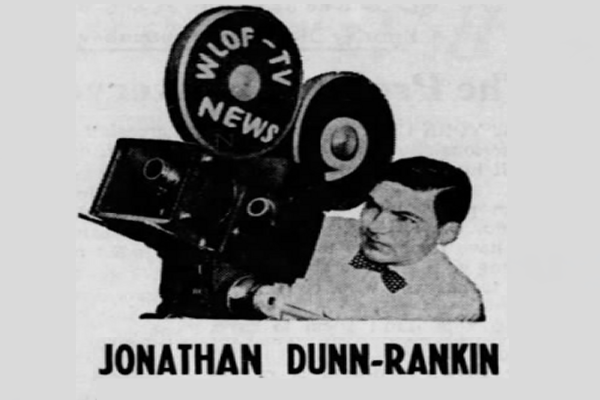 That finally happened on Monday, Sept. 7, 1959, when the station began an ambitious program called “Central Florida News.” It had an anchorman, reporter, cameraman and film editor — and the person filling all of those roles was bow-tie wearing Jonathan Dunn-Rankin. 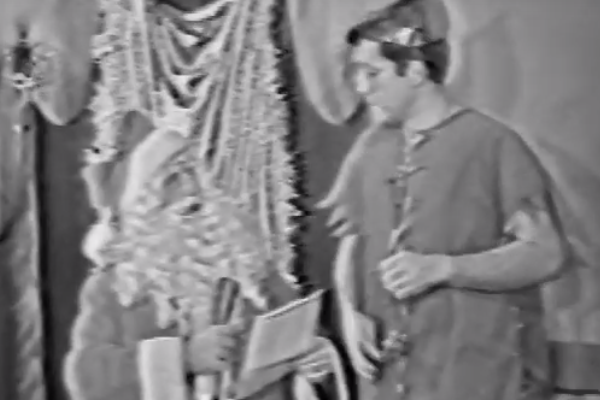 But back to the man who apparently did it all for the newscast, Dunn-Rankin, who had a long and colorful career in broadcasting. He grew up in Florida and attended Winter Park High School, but started college at Columbia before leaving and coming back to Central Florida to attend Rollins College. 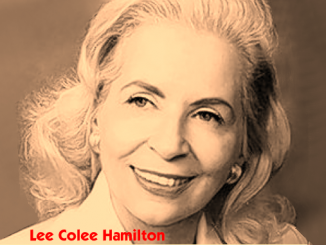 His studies were interrupted by World War II, and he was with the U.S. Army in France. When the war concluded, he finished his studies at Rollins and then headed back to New York to become an intern at CBS News and then graduate from the Masters program at Columbia Graduate School of Journalism in 1958. After being hired by the Orlando Sentinel to be its courthouse reporter, Dunn-Rankin left after a year to begin his stint at Channel 9. He left in 1961 to go to KYW-TV in Cleveland (1961-62), then to KTAR-TV in Phoenix (1962-65) before beginning a long stint in San Diego with KFMB (1965-78). He died in 2014 at the age of 84. 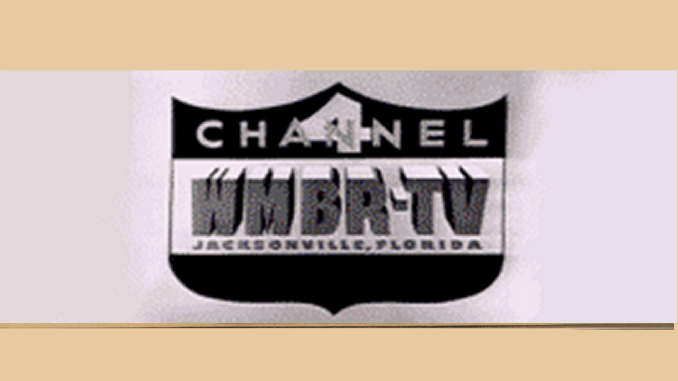 Before Dunn-Rankin left Channel 9, “Central Florida News” morphed into “Mid Florida News,” with Ray Ruester taking over the anchor duties. 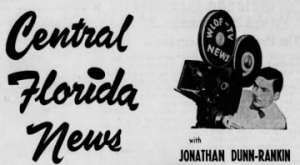 He would remain with WFTV as news and special events director until 1969.